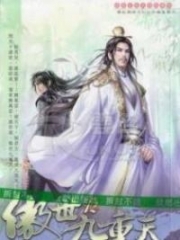 You’re reading novel Chaotic Sword God Chapter 1180: Xiao Bao The Cripple (Two) online at LightNovelFree.com. Please use the follow button to get notification about the latest chapter next time when you visit LightNovelFree.com. Use F11 button to read novel in full-screen(PC only). Drop by anytime you want to read free – fast – latest novel. It’s great if you could leave a comment, share your opinion about the new chapters, new novel with others on the internet. We’ll do our best to bring you the finest, latest novel everyday. Enjoy! 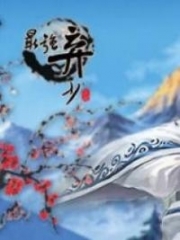 After leaving the Ancient Medicine Village, the Heavenly Enchantress did not return to Three Saint Island immediately. Instead, she ripped open a s.p.a.ce gate and went to the City of G.o.d in the Holy Empire. As one of the seven capitals of the continent, its prosperity was beyond suspicion. People surged through the streets and alleyways as shouts rang out, adding to the commotion. It was bustling and countless experts gathered there. A giant, majestic castle stood in the center of the city like a sleeping primordial beast. A large number of white-robed Radiant Saint Masters who bore various colored badges on their chests walked in and out. At this moment, the Heavenly Enchantress appeared silently with her zither and veil. She hovered a hundred meters in the air as she coldly stared at the castle. Shortly afterward, a powerful presence radiated from her, surging out like a blanket and enveloping the entire headquarters. All the experts within the union became alarmed. Figures flickered outside the castle as several Saint Rulers made their way outside as quickly as possible. They glared at the Heavenly Enchantress. Afterward, around a dozen b.a.l.l.s of white light flew out of the castle. They were white-robed Radiant Saint Masters with blue and purple badges. The president and grand elders stood at the very front. Behind them followed other Cla.s.s 6 and 7 Radiant Saint Masters. The Heavenly Enchantress looked at the president and her cold eyes immediately began to warm up slightly, and some respect appeared in her gaze as well. “I greet the president!” The Heavenly Enchantress nodded her head slightly, greeting the president of the Radiant Saint Master Union on her own accord. The Saint Rulers who had hurried over at the very beginning immediately became relieved when they heard what the president had said. The gazes they directed toward the Heavenly Enchantress were no longer filled with hostility. The hostility had been replaced by shock and admiration. Although her face was covered by a veil, it was not enough to conceal the Heavenly Enchantress’ supreme beauty. Just by standing there, everyone could feel an otherworldly bearing from her, as if she was a G.o.ddess. “Esteemed president, I’ve come visiting this time because I have a matter that I wish the great union to a.s.sist me with,” said the Heavenly Enchantress. “Shangguan Mu’er, your father’s a very good friend of the union. The union will fulfill any request you have as long as its within our capabilities. May I ask what you need us for?” The grand elder responded. “Don’t mention that person in front of me,” the Heavenly Enchantress coldly replied. She radiated an unhideable anger. The president and grand elder looked at each other and shook their heads helplessly. They sighed inside. From the Heavenly Enchantress’ reaction, they knew that her hatred for her own father was still extremely deep. “Esteemed president, I am still extremely grateful to you for saving my life all those years ago, but I need to take a Cla.s.s 7 Radiant Saint Master with me back to the island no matter what. I hope you can agree to this,” the Heavenly Enchantress sincerely replied. All of this was for Xiao Bao. The energy hidden within ten-thousand-year heavenly resources was tremendous. The Heaven’s Heart Lotus might have been refined into a pill with mild medicinal effects, but Xiao Bao was still young. She was unwilling to take the risk, so she needed to be prepared to prevent any accidents from happening to him. A hunch-backed figure flew out of the castle. He was a wrinkly old man who wore simple clothes. He seemed like any old person, but he was the one and only Saint King of the union. “Shangguan Mu’er, you should go ask your father to come, or it’s impossible for you to take a Cla.s.s 7 Radiant Saint Master with you to Three Saint Island,” the old man said rather powerlessly. 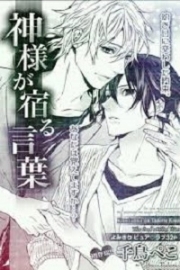 You're reading novel Chaotic Sword God Chapter 1180: Xiao Bao The Cripple (Two) online at LightNovelFree.com. You can use the follow function to bookmark your favorite novel ( Only for registered users ). If you find any errors ( broken links, can't load photos, etc.. ), Please let us know so we can fix it as soon as possible. And when you start a conversation or debate about a certain topic with other people, please do not offend them just because you don't like their opinions. You're reading Chaotic Sword God Chapter 1180: Xiao Bao The Cripple (Two). This novel has been translated by Updating. Author: Xin Xing Xiao Yao already has 6140 views. Current Time is Apr-21-2019 04:38:43 AM.